Sexual Harassment Bill won’t be tabled yet, Minister says | Daily Express Online, Sabah, Malaysia. 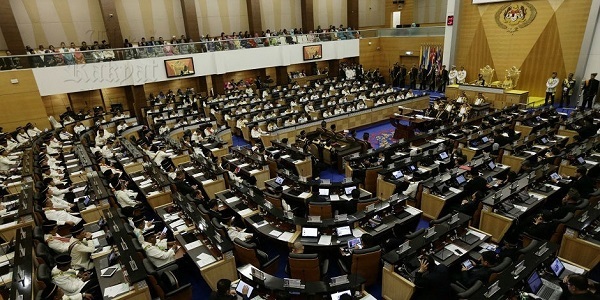 KUALA LUMPUR: The Sexual Harassment Bill will not be tabled in the Dewan Rakyat next month as planned because the results of a just-completed feasibility study are still under scrutiny, it was stated Monday. Deputy Women, Family and Community Development Minister Hannah Yeoh said the scrutiny was necessary to ensure that the proposed act would be comprehensive and cover a wide scope. We want to ensure that the act is really beneficial,” she told a press conference after taking a look at the ongoing repair of facilities at Sekolah Menengah Sains Seri Puteri here with an allocation from the office of the Segambut member of parliament. Yeoh is the Segambut MP. Yeoh said, however, that the Sexual Harassment Bill would be tabled at a Dewan Rakyat session this year. On Sekolah Menengah Sains Seri Puteri, Yeoh said she would write to the Education Ministry to secure the assurance that the site would be retained for a school and not used for some other development. “We have seen many school sites making way for other development. An example is Sekolah Menengah Perempuan Bukit Bintang where the Pavilion shopping mall now stands. On another matter, Yeoh welcomed the proposal of National Anti-Drugs Agency (AADK) director-general Datuk Seri Zulkifli Abdullah that parents of children involved in drug abuse be required to attend counselling.